Through this project, we are trying to make water quality checker and help people who are negatively affected by polluted water purifier. As all of us know, water purifier is A device that filters water cleanly through a physical and chemical process. But if water purifier's filter has trouble filtering out impurities in water, it will hurt the drinker who use that water purifier. So, we invented a device that finds out whether the water filtered by the water purifier is clean or not. After the device finds out water quality, it will send data to water purifier company, so it will help the company to purify water throughly. 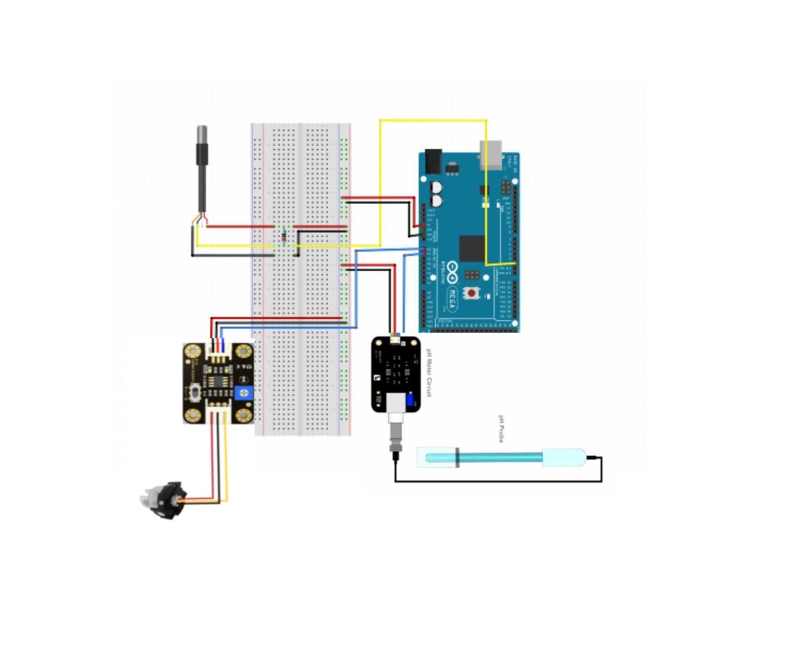 Arduino reads the values ​​through the waterproof temperature sensor, the pH sensor, and the turbidity sensor. And it sends data to WiZ750SR through serial communication. 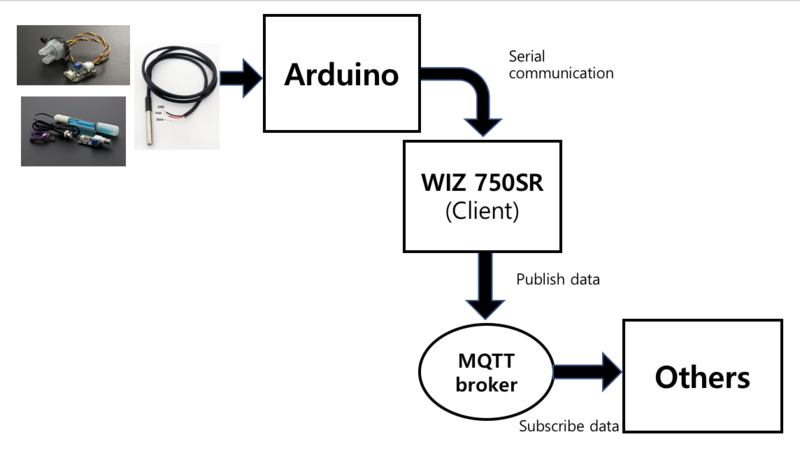 WiZ750SR publishes the data to the MQTT broker, which allows other users to subscribe to the data. In addition, Arduino communicates with the Android app via Bluetooth and the app sends a message to the customer center when the user presses a specific button. As explained above, our device can be used in checking whether water purifier is working properly. Moreover, not just in the water purifier, it can be used to test water quality in family home, or other real life. For example, this device can be put in a fish tank to make the suitable environment where fish live, and also water quality can be checked in a swimming pool to decide whether or not to be cleaned. Because it can send data to your phone by bluetooth, it can be conveniently available for personal use. There are still many shortcomings in our project. We have focused on using the iot with coolTerm and mqtt, the values ​​measured with Arduino sensors. If it is actually used, I think it would be better to check whether it is good or not by receiving more value with more sensors. Our project reminded us of the importance of water and hoped that through IoT we would be able to identify the problem in real time and take action. I hope that the problems related to water quality will be resolved in the future and that there will be no sick people. Through this project, we got to know how to use W750SR and how it works. Even though we were sorry about some aspect, when we check water quality, the result was successful. If we have a chance to have our project more detail next time, we want to make our program more sophisticated and to make people be able to check water quality before drinking water, so they can live more healthy. Serial pc(USBTX, USBRX);   //Enabling the Serial transmission between WIZ750SR and PC. Serial serial(D1,D0);      // Enabling Serial transmission betwenn Wiz750SR and W7500. char* hostname = "172.16.73.4";   //Give the IP Address of the MQTT Broker. 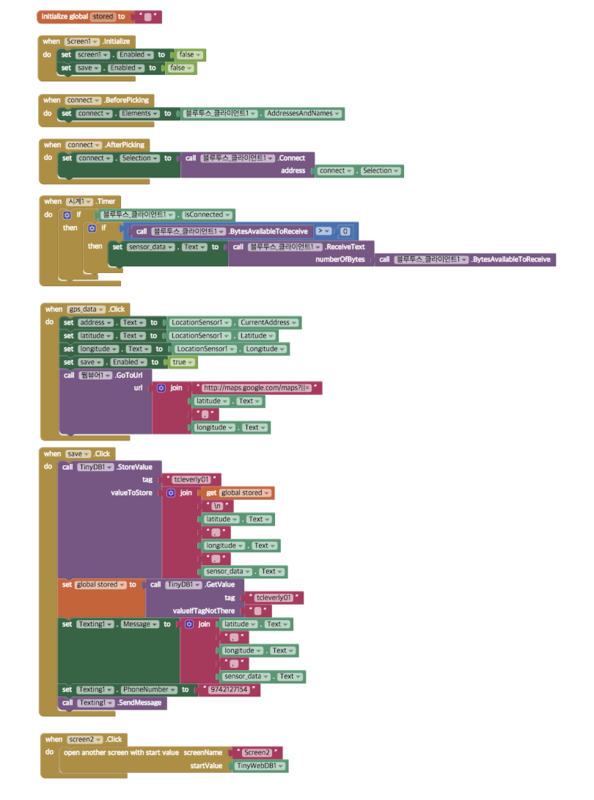 int port = 1883;                  // Port number of the MQTT broker.